We’re on day 16 of Blacksmith Games’ Appvent Calendar ‘09 promotion, which will feature 24 different games that will be made available for free over a 24 day span leading up to Christmas day. Each game will only be available for free for a single day, so don’t wait too long to download them! Today’s Appvent Calendar ‘09 free game is Cheese Collect. Cheese Collect is a puzzle game where you are a mouse who is trying to steal a cheese wedge from a wily cat in a limited number of moves without setting off the traps. The cat is able to move the cheese away from you if there is room to do so, which means you must plan your attack carefully. 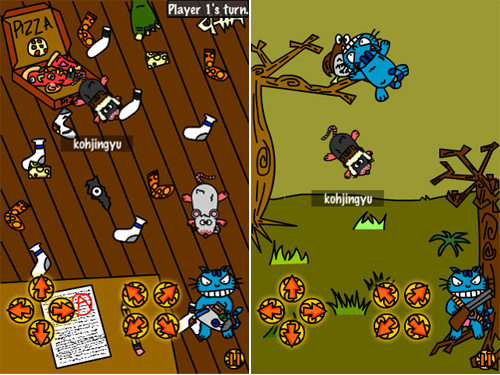 The game features four game modes, including a multiplayer mode, 27 levels across four different locations, the ability to customize your mouse with a variety of hats and costumes, and loads of connectivity thanks to OpenFeint integration. Cheese Collect is normally available in the App Store for $.99, but it is available for free today only. 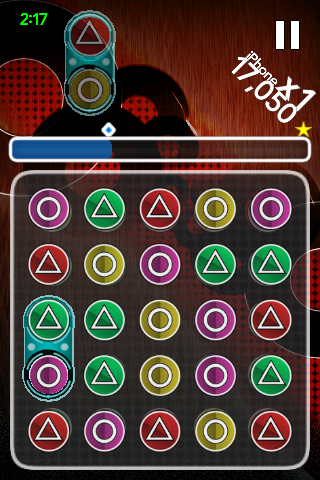 Appvent Calendar '09 features another secondary free game today, and it's Hands-On Mobile's bitFlip. bitFlip is a match-three game with a twist. The idea, of course, is to match three or more like pieces by swapping them on the grid, but you can also double tap pieces to flip them over like a coin to clear the layer below and gain bonus points. 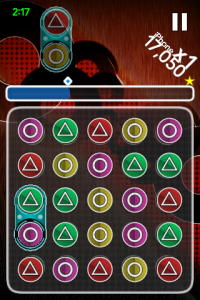 The game features three different modes, three grid sizes, and three levels of difficulty. It also features local multiplayer over Wi-Fi or Bluetooth. 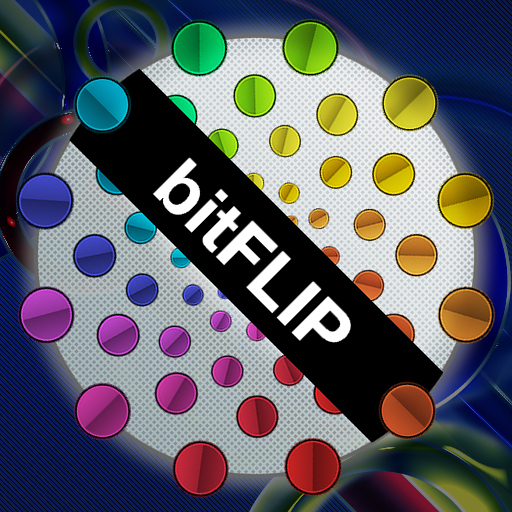 bitFlip is normally available for $1.99, but it is now available for free for a limited time.